You are here: Home / Free Bet Bonuses / Soccer Betting Promotions / Sportsbook Bonuses / Sportsbook Promotions / Collect €10 with Betsson’s Euro 2016 Free Bet! 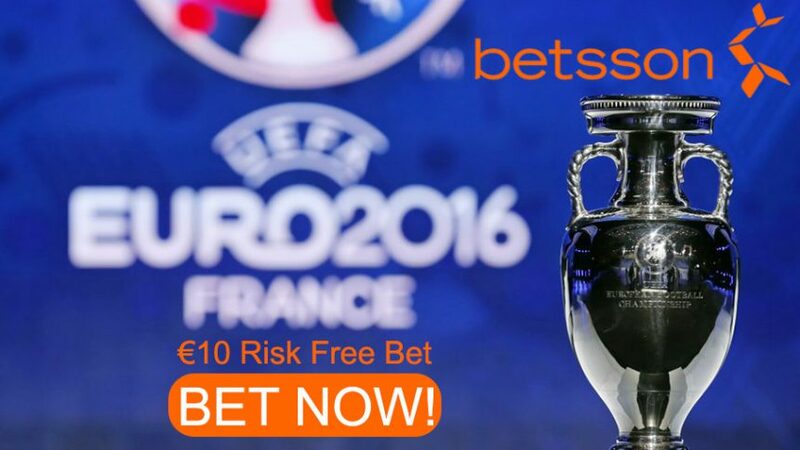 Online sportsbook Betsson offers €10 with the Euro 2016 Free Bet offer, just in time for the European Championship. To get the €10 Euro 2016 Free Bet, you simply have to tell Betsson what country you favour to win the title in France this year. 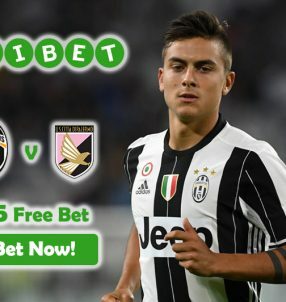 The online sportsbook will give you the Euro 2016 Free Bet to use on the first round of the competition, so you’ll have an added bonus when you’re making your bets. The European Championship starts on June 10, so you have a little over a month to collect the €10 with the Euro 2016 Free Bet. 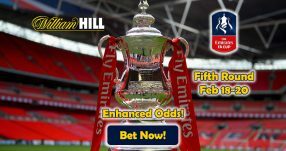 Don’t miss out on this great opportunity to make a few extra bets on the tournament. France are favourites to clinch the title 4.00 (3/1), according to online sportsbook Betsson, after all they are the host nation of this year’s tournament. Right after them are Germany 4.40 (17/5), who boast a fearsome squad that have won the World Cup in Brazil two years ago. Spain, the defending Euro champions, are third favorites to clinch their third successive European Cup 7.00 (6/1). The Three Lions are fourth favorites for the title 10.00 (9/1), however England are yet to make a serious challenge in international tournaments. Belgium have a team full of big-name individuals, however collectively they don’t seem to do wonders on the pitch, which is perhaps why their odds are 11.50 (21/2). 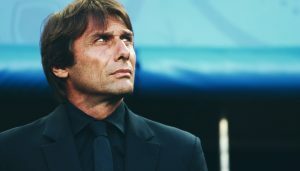 Italy have put on solid displays on a few occasions, however they are far from being considered among the favorites for the tournament 18.00 (17/1). Wager on any one of these countries or make a separate bet slip with other markets using the Euro 2016 Free Bet! Ronaldo is basically carrying Portugal alone on his shoulders, as there are no other players within the squad that can match his talents on the pitch – that’s why they’re deemed outsiders 24.00 (23/1). Croatia are slightly behind them with odds of 29.00 (28/1). The 1998 third-place winners are similar to Belgium, as they feature a host of stellar names that enjoy great success for their respective clubs, but struggle to replicate that to the national side. Austria have been dealt odds of 40.00 (39/1), while both Poland and Switzerland have been assigned even worse chances 65.00 (64/1). Russia, Wales and Turkey are all big outsiders for the title 75.00 (74/1), while below them lie countries with three-digit odds. Bet on the European Championship with the €10 Euro 2016 Free Bet! 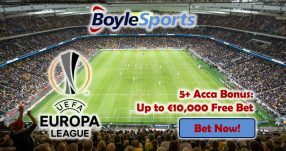 Get your €10 Euro 2016 Free Bet now!